Expanding The EMT Role | What’s At Stake? Giving nitro, albuterol treatments, epi pens and now intranasal narcan. While giving or assisting patients with these medications can be beneficial, is proper training and oversight being provided along with these added responsibilities. How many EMT’s want these added responsibilities? 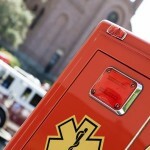 Should EMT’s even have these responsibilities? What Are You Doing In That Ambulance? How do you spend your time with patients? Do you re-assess, engage your patient and give a good accurate report to the ED? Or are you finding yourself going through the motions taking calibrated vital signs and thinking about that cup of coffee. Which provider are you and do you see a trend leaning towards one type over another? What do you think? Listen to the discussion below and post your thoughts and opinions below and visit the guests blogs and links. If You Pay For An ER Appointment, Is There An Emergency? With more emergency departments being overwhelmed with patients. Some are trying to alleviate the amount of people showing up at specific times. Doing things like texting people wait times and even allowing people to pay for an off peak appointment. Will this have any effect on EMS or is this just hospitals responding to an overload of non emergent ED visits. Won’t this just encourage more non emergent visits? Checkout this podcast below and give your take on this topic and how you think EMS will be helped or hurt by these initiatives. Great chat room interaction and a few non EMS callers that made it interesting. When Does Someone Become A Patient? When do you think a patient is well – a patient. Who gets to say? You, the 911 caller, law enforcement? Listen in as Jim was joined by a few other EMS pros on this topic. Be sure to leave your views on this in the comments below. What’s your story? Is There Really A Generation Gap In EMS? This latest Office Hours talks about the perceived generation gap in EMS. Is this a real thing or is it a way to excuse “burnout”? Wouldn’t the term “Interested vs. Disinterested” be more accurate? Listen in and let Jim know if you like turkey and and how you would handle the call he mentioned in this episode.